Our ninth Player to Watch for 2014 is the third 17-year-old to be featured in these here pages. For all the (rightful) talk of the Top 100’s average age increasing to 27, and the recent difficulty for any teens to break through in the men’s ranks, this trio of 1996-borners* has really been Doing Things at the pro level this year. And it’s not because they’re particularly physically precocious either, which makes their 2013 achievements all the more impressive — and, of course, bodes well for when/if they eventually are at their corporeal peak. Therefore, it is with much(o) gusto that I present my penultimate Player to Watch for 2014, Christian Garin. 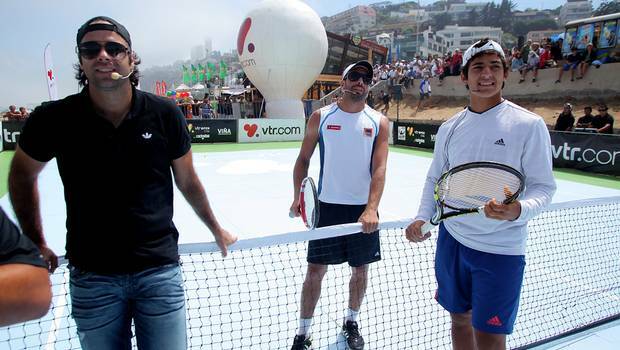 Though many first learned of him through his unseeded red clay sweepage of Roland Garros this year, losing only one set and beating the 3rd, 4th and 8th seeds on his way to the title, the ATPeerers among us took notice of his fine play at the ATP 250 event in Viña del Mar, where he beat Dusan Lajovic and took a set from third seed Jeremy Chardy before succumbing in the second round**. But you can also see that, while not quite at a Gonzo level of gusto, Garin can also crank his favorite stroke up to a near-Fernando forehandular ferocity, which is something he may have picked up from his pal and legendary countryman, Fernando Gonzalez. Gonzo, by the way, has not ruled out a return to the courts for the South American games in Santiago next October, but only in doubles and only if he can play with Christian. 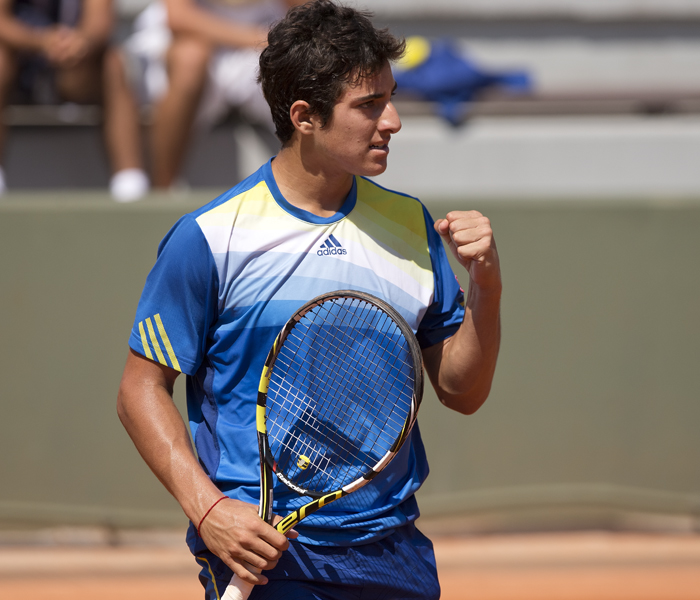 As all Players to Watch apparently must do in 2013***, Garin also practiced with Rafael Nadal at Viña (and additionally signed with Nadal’s manager, Carlos Costa, on the strength of his performance there – although whether from practice or match-play is unclear at this time), a heady experience for the then-16-year-old.